China is building a particle collider almost four times bigger than the Large Hadron Collider (LHC) and it is expected to produce over one million Higgs boson particles in its first decade of operation. Plans for the Circular Electron Positron Collider (CEPC) were first announced in 2012, a few months after the Higgs boson particle was discovered at the LHC. Now, researchers working on the project have released two new design reports to show what they have been working on over the last six years, and what they are planning to do over the coming decades. The report shows how the CEPC dwarfs the LHC, which has a circumference of just under 17 miles. 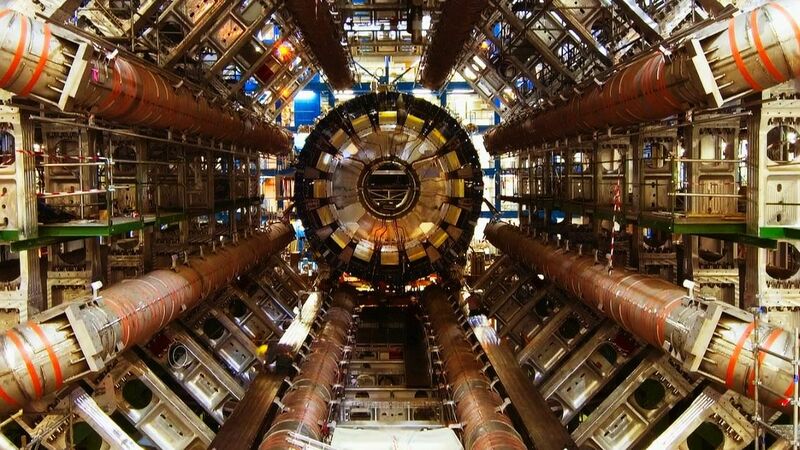 It outlines how it can go beyond the LHC's capabilities in terms of the physics experiments that can be carried out—over 10 years, scientists say it will be able to produce one million Higgs bosons, 100 million W bosons and a trillion Z bosons. Like the LHC, the CEPC is circular in shape. It will be located in an underground tunnel and consists of a linear accelerator, a damping ring, a booster, transport lines and a collider. It will be a double ring collider, with electron and positron beams circulating in opposite directions in seperate pipes. The tunnel it sits in could also be used to host a Super proton proton Collider (SppC)—a proposal for which is currently under consideration. This ‘supercollider’ would reach energies far beyond the LHC—the LHC was designed to have a maximum collision energy of 14 TeV, while the SppC would operate with an energy of 70 TeV. Over the next five years, scientists will carry out extensive research, building prototypes of key technical components for the CEPC. The infrastructure for the collider will also be built. Construction of the CEPC is expected to begin in 2022 and it will be completed in 2030. Should the CEPC prove successful, scientists are hoping the SppC supercollider could be operational at some point in the 2030s. The SppC, the researchers say, could be used to “substantially extend” the search for WIMPs, potentially providing answers to one of the biggest mysteries in the universe.